Zinc does quite a bit for the body. Zinc is crucial for health because it strengthens the immune system. It is also essential to cell division, growth, and repair. 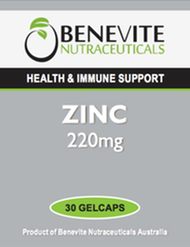 BENEVITE NUTRACEUTICALS™ Zinc provides the nutritional support needed for healthy immune function. It balances and supports healthy prostate function and is essential for normal functioning of the male reproductive system. Zinc also helps to maintain healthy skin. Adults, take 1 gelcap daily with food, or as directed by your healthcare professional. Each specially prepared formula produced by Benevite Nutraceuticals™ is of premium quality. Our products are made from the finest ingredients, delivering to our consumers the best choice in healthcare. 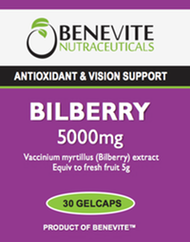 With modern research and traditional pharmacopeial knowledge, Benevite Nutraceuticals™ has created a diverse range of innovative healthcare products.